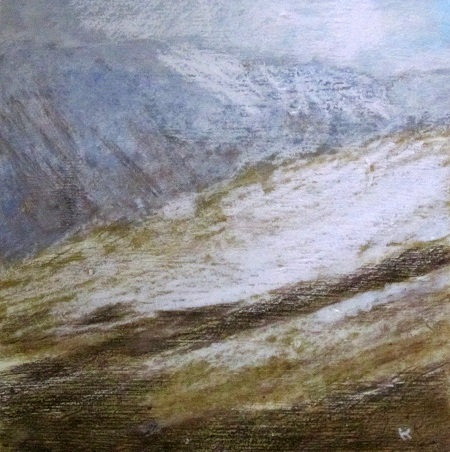 I did this small painting last year after we visited the Ochil Hills on a particularly fine New Years Day. The view looks past the slopes of Craighorn which we descended for the first time last Sunday and it makes a fine route off of the hill. This painting is currently hanging in my studio and is for sale, priced £485. To read more about our recent visit to these fine small hills, click this link to my latest blog which includes four photos taken that day. << Previous Post: At last…. >> Next Post: Journey’s end ….a commission completed successfully.